Justin Bieber is quickly turning into Canada's version of Lindsay Lohan. Early this morning, after leaving SET nightclub in Miami Beach in a yellow Lamborghini, Justin Bieber was spotted by police drag racing in a residential area close to the club. Sources say Bieber's camp actually blocked off the street so Justin and rapper Khalil could race. The Def Jam recording artist, driving a red Ferrari, was subsequently arrested for drag racing as well. Justin had more than a few cross words for law enforcement and dropped several F bombs before being taken into custody. Bieber was arrested and booked for DUI, drag racing, driving with an expired license and resisting arrest without violence. Police are also testing him, presumably for a more precise blood alcohol level. 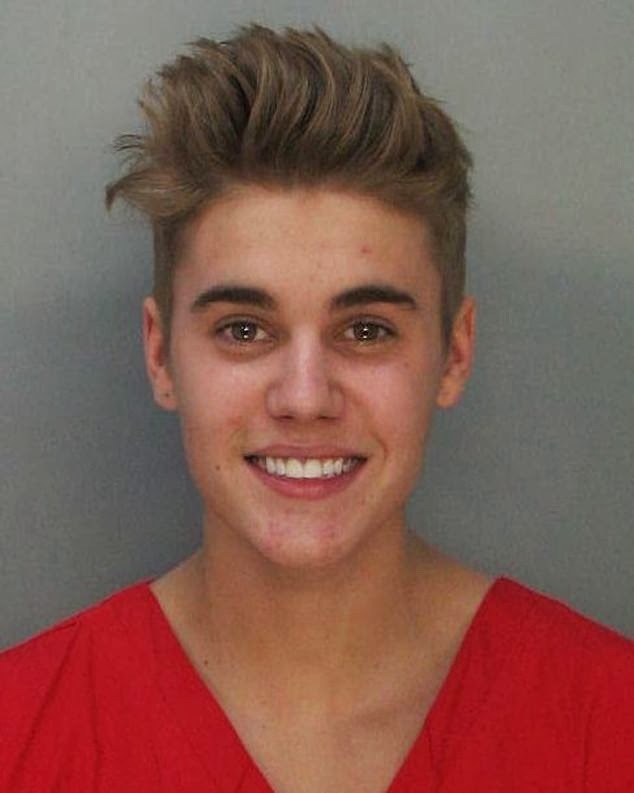 Justin admitted to being under the influence of RX drugs and weed, in addition to alcohol. Riding shotgun with Justin was Chantel Jeffries, model and serial star dater. Whats more, Justin's own father was one of the people who helped block off the street so he could race! Sources say Justin's dad was with him all day and at the nightclub, fully aware of the drug and alcohol use. This is a 19 kid with an unlimited supply of money and surrounded by seemingly passive handlers. Without someone to step up and say no to the cash cow, Bieber will undoubtedly join the list of countless other child stars who paid the price of fame. Surrounded by an entourage of opportunists and fame hungry leeches feeding his ego fueling the machine that is Justin Bieber, it appears there is nobody willing to put the brakes on this impending train wreck. Hopefully, someone will be able to convince him to seek treatment before he ends up on VH1 "Behind the Music" or an E! True Hollywood Story.